Almost 700 children attended Over the Wall’s camps in the UK last year. In her day job, Jane Cummings is chief nursing officer for England, with all the duties and high-level meetings that involves. 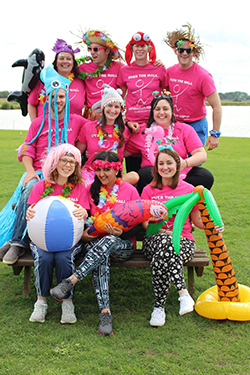 But when she dons her pink volunteer T-shirt at a camp run by a children’s charity, ‘high-level’ is more likely to involve a zip line or climbing wall than nursing policy or meetings. Professor Cummings has been a volunteer at the charity Over the Wall since 2007, attending a weekend or week-long camp most years and providing clinical support to the campers, all of whom are children or young people with serious health challenges. And she loves it. 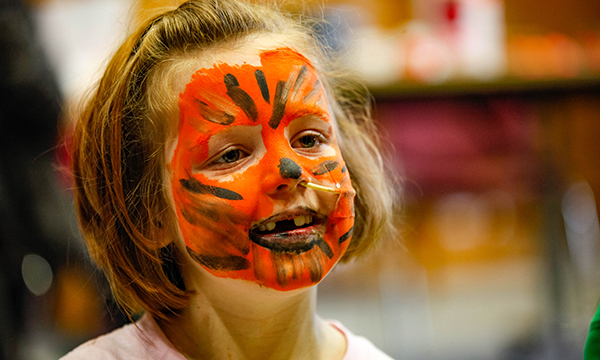 ‘Watching the children and having fun with them – it’s just phenomenal,’ she says. ‘The camp makes a huge difference to them. They often arrive looking very uncertain, without much confidence. But by the time they leave they may have been kayaking, swimming, wall climbing, or singing or doing arts and crafts. 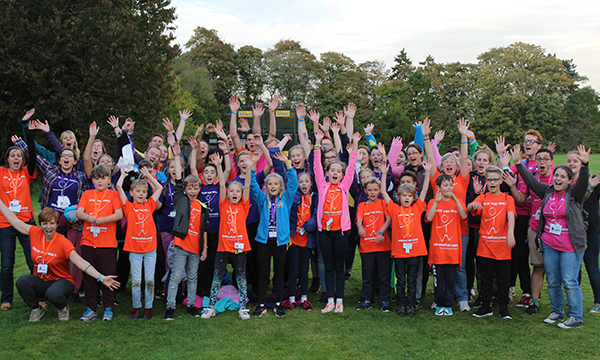 Over the Wall is a national children’s charity that provides free therapeutic recreation camps for children with life-limiting illnesses and their families. The aim is to help children and teenagers to stretch their boundaries in a safe environment and reach beyond the perceived limitations of their condition. The camps rely on qualified volunteers such as Professor Cummings to provide 24-hour clinical support (see box). The charity was founded in the UK in 1999 by businessman Joe Woods, who had previously organised trips for British children to visit a similar therapeutic camp in the US, set up by the late Hollywood actor and philanthropist Paul Newman. The UK charity is expanding all the time: in 2012, fewer than 400 children and young people took part, last year it was almost 700. There are plans to reach 1,000 campers by 2020. Children’s nurse Lauren Doyle began volunteering with Over the Wall three years ago. Ms Doyle is an advanced nurse practitioner on the medical rota at Heart of England NHS Foundation Trust in the West Midlands, working in paediatrics and neonatal services. 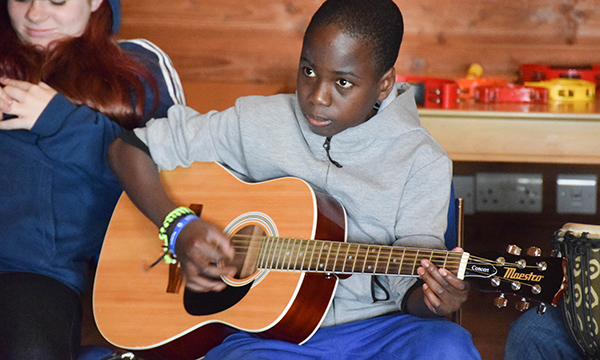 Most of her professional experience is with acute cases, while camp has brought her into contact with a wider range of children with longer-term needs. ‘I’ve become more confident working with children who have chronic conditions,’ she says. Natalie Marshall began volunteering with Over the Wall in 2010 and since last year has worked full-time for the charity as its nursing director. It was a big decision for her as she loved her previous jobs, which included being a children’s Macmillan nurse, but she hasn’t looked back. Similarly, she adds, nurses gain skills in areas such as bladder washes and colostomy care. Nurses tend to volunteer in their own time for the camps, which run from a long weekend to a week and have different focuses. For example, there are camps where siblings can come along, camps for families and, as of last year, weekend camps for people with allergies. A full list, including dates, can be found on the Over the Wall website. Professor Cummings can also point to campers who have made an impression on her – such as the boy who thought he was afraid of heights and who was then thrilled by a ride on a zip line. But she admits that she gets a lot out of it too. About 700 people volunteer with Over the Wall each year. These include ‘clinical volunteers’ – nurses and doctors who support the medical needs of campers. These roles, part of the camp’s medical team known as the Beach Patrol, involve providing care, for example giving medications, overnight nasal or PEG feeds, changing dressings and monitoring blood sugar levels. Previous experience of these tasks is not required, as training is provided. 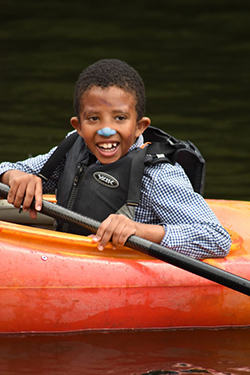 Clinical volunteers also spend time with their group of campers participating in activities ranging from swimming and kayaking to drama. Applications are invited from children’s nurses who have been qualified for a minimum of 18 months, and adult or learning disability nurses who have been qualified for at least two years. Nurses must be registered with the Nursing and Midwifery Council, hold professional indemnity insurance and have current, valid life-support training. Applications to take part in this year’s camps close on 31 March. For more information, including how to apply, go to the Over the Wall website, email volunteering@otw.org.uk or phone 02392 477110.